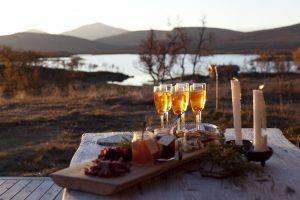 You can hold your conference in the mountains, an interesting and effective combination with hunting. Why a conference in the mountains? Do you enjoy the outdoors, feel that it is an environment in which you thrive? Is the natural world is somewhere that you feel secure, where your thoughts move freely and you can be yourself? Then that’s where you should be when you and your colleagues talk about work. The ability to identify the environment in which you are most at home for these purposes will be the success factor that helps you to be more effective and achieve your business aims. You stay in the mountains in our cosy timber cabin. 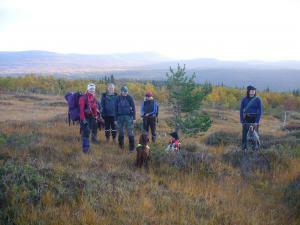 The autumn not only offers ptarmigan hunting over pointing bird dogs, but also walking, berry picking, fishing in the lake or river… there are many outdoor activities on offer. 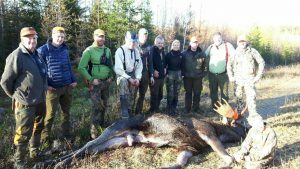 I am available as a host and hunting guide according to your requirements. The cabin has self-catering facilities if you wish, otherwise I can provide that service.